My goat news is disheartening, for me anyway. We're down to only two goats. Jasmine's broken leg never healed properly and she was unable to get around very well on only three. In fact, she finally pretty much gave up trying. We decided that the thing that made the most sense was to take her and our wether to a meat processor. That's what they call butchers these days. At the very least it will be meat and bones for the dogs, and some stew meat and sausage for us. It's not the way we'd hoped things would turn out, but then real life is not always a "happily ever after". In addition, my remaining doe is not pregnant. My potential due dates have come and gone (with one more longshot date this weekend.) No kids. Until the past several months she'd always been a skinny goat, but when I couldn't palpate anything in her state of rotundness, I began to figure it was just rumen. I should be able to feel something (feet, heads, butts) besides mush. Healthy goats are supposed to have large rumens though, so belly size is no indicator of pregnancy. On the other hand, I take comfort that she's not so skinny any more. It means my research and changes in diet and supplements, have paid off. Both goats have round rumens and soft shiny coats. I'm very pleased about that. However, this means no Kinder kids for us this year. :( Which in turn means no milk, no yogurt, no mozzarella, no cream for our coffee, no cheesemaking experiments, no whey, no whipped cream, no butter. That means I either have to buy it or learn to live without. Perhaps this is a good test of my dedication to the goal of being food self-sufficient. You probably noticed that I did not mention buying more goats in the above paragraph. Dan took Jasmine's accident and what followed pretty hard. We've lost what seems like quite a few animals and he feels like each one is a defeat. Intellectually he knows better, but it always makes us stop and evaluate what we're doing and how we're doing it. Considering that neither doe got pregnant, I can't help but look at our buck, and analyze this in terms of supply and demand. Supply - I'd assumed he's fertile. Now I have to wonder. Demand - Though the does were flirty, neither was particularly cooperative. Sometimes he appeared to give up trying. Maybe it's because as an experienced buck he's used to shorter women? He is a Pygmy after all and those long legged Nubians may have been more of a challenge than he willing to persist at. So there you have it. I reckon this is why they say no news is good news. So sorry to hear about Jasmine :/ Hugs and prayers to you and Dan. I'm sorry to hear about your goats. It's so hard to deal with situations like this. Leigh, I'm so sorry to hear of your news. Some how, find the blessings in this. I'm sure you've considered a different buck..possibly when the time comes to lease one or take your doe to him. When I get mine, I'm buying two does and taking them to be bred. Only because I don't want to deal with having the extra mouth to feed only for seasonal breeding. I know this must be very hard to lose your "start". Even though its hard to write about and even harder to live the experience, thank you for sharing with us. How disappointing; and we share in your disappointment. Brighter days are around the corner. I've been following your blog (its not stalking if I'm in the feed, right?! :) for several months now and I've appreciated your posts. This, too, I appreciate, even if its not good news. I live SE of Roanoke, so we're approximate neighbors, all the more reason for the empathy! Oh darn, Leigh. So sorry to hear the end of Jasmine's story. If my two cents counts for anything, I feel you did the right thing. Sharing the not-so-good happenings on the homestead helps us all even though I could feel the "down" tone of your post. I'm sure it wasn't an easy one to write. You and Dan are dedicated, very intelligent homesteaders and will continue to make the good decisions. It's all just not as easy as the books make it seem. Sending hugs. This, too, shall pass. While I a certainly sorry to hear about Jasmine, I would not give up. In fact, I'd be on the lookout for a doe with a couple of kids (preferably doelings) to purchase. You raise them for their milk and going a whole year without that doesn't make sense, really. Animals get hurt and die, that's just part of being a farmer. You have to just move on and learn from the experience. Being raised on a dairy farm, I know we'd occasionally lose one for what seemed like no reason, but we didn't give up. We replaced her. But they were not pets, they were there for a purpose, like your goats. So, it's only a setback, not a defeat. that's a pity, even though you try not to get too attached to your animals, somehow you do anyway. I think when you're trying to be selfsufficient this has a big influence on the coming months - something people who shop at the supermarket probably never think about! the saddest thing to me though is that you became so disheartened by it all! easy to say for me - but don't give up just yet, I think it might be more bad luck than anything else! you are trying so hard to fulfill all your animals' needs that I cannot see that it had anything to do with bad management etc. I'm so sorry to hear about Jasmine, but I feel that you made the right decision about her. I think your instincts/hunches about your buck may be right and it might be best to either do as the one commenter said about just having Surprise bred or get a different buck. Perhaps sending her out for stud service would be better though in that you would know she had been serviced. Oh and I would be making some stock from those bones...or at least some of them. This is so sad. I can understand the disappointment you both must feel. You are so good about being true to this goal you have decided on and work hard towards it. This is a good reminder to all of your readers, how so many things can be thrown off by one type of failure. I winced at the thought of no cream in my coffee...how spoiled is that. The larger the animal and the more "personality" they have, the harder it is to say goodbye. He might just need some more time. Oh Leigh, so sorry to hear about Jasmine. I must have missed the broken leg post completely. You have a lot of dog power there, get more goats. Maybe you two can find some Kinders right from the get go? Oh, I'm so sorry to hear about Jasmine. :( Hang in there and keep the faith. Since I have absolutely no experience in this area, I have no wisdom to share. But I'll send you my best thoughts that your next steps lead to successful returns! Awww... it's always sad to see an animal get hurt and suffer. I think you did right by her. You ended her suffering. Can you buy a producing milking goat so you can have your butter, cream, cheese... ? I have no experience with goats, what so ever, so if it's an over simplistic question... excuse, please. Aww, poor Jasmine! You don't seem like the type to give up, so I know you'll bounce back, figure out a solutioin, and come on stronger than before. Stephanie and Lisa, thanks. I appreciate your sympathies. Berte, thanks. I agree about finding the blessings in it. I can't control the circumstances, but I can control my attitude! Benita, I so much appreciate your experience. It's a voice of reason for those of us who are new to all of this. It does make us review what we're doing, in a good way. There are so many things we need to learn and this truly helps us know what some of them are. Bettina, I think about that more and more, how isolated modern society is from the reality of what it takes for them to eat. Still, I wouldn't trade it, for better or for worse! Renee, thanks. I did consider a stud service the year before last (see my answer to Berte at River Bend Farm). I agree about those bones. Wasting an animal's life seems like the worst crime of all. Sherri, thanks. It's amazing how quickly we become used to things! Things like this make me truly appreciate what we do have. Theresa, thank you. I think you were on vacation at the time. True, we do have plenty of livestock dogs! The closest Kinders are several states away, which is why I went with the starter kit. I'm evaluating other possibilities now. It makes no sense to be overly attached to any one option. We just need what's best for us. Reasonable Season (Me) thanks. I appreciate the sympathies! Bernadine, I actually think we let her suffer longer than necessary, but we really wanted to give her a chance to heal if at all possible. Buying goat milk is a possibility, but an expensive one. Cheaper to buy raw cows milk but I'm still going to have to evaluate the cost versus actual need. It's easy to get used to things! Altho a sad post, I'm glad you shared with us. Homesteading is not all roses and sunshine. It is always so hard for me when one of my animals is sick or injured. I have opted out on buying dairy animals because I can not devote the time I believe they need to be productive and happy. I have had to buy my milk for butter and cheese-making: WOW...very expensive...sometimes I question if it's really worth it. At the moment I'll remain goat/cow-free. Obviously it is hard when you lose one of your animals. You are a conscientious animal keeper and because of that you both can't help but be devastated at the loss. I may have someone that can help you with advice on the buck but your email link does not work at least for me and I can't put her name here. If your interested email me at farmgirl4095@live.com If you don't know the person I am talking about you really need to. Hope to hear from you. Sorry to hear about Jasmine....I agree with everyone, but still, we hold out hope for their healing. Sometimes, it's entirely too difficult to give up before exhausting all options. I too, understand having a man with a softer spot. My husband will appear as though he is not too attached to the animals, but our shepherd mix is always by his side, and the mustang in the pasture out back loves him to pieces. One of the layers got sick a week ago, and he did what was 'necessary'. I think it bothered him more than anyone else. Praying that things become a little easier and that next season is far more successful. Sorry to hear about Jasmine. You went into this with your eyes open, though, and while each loss is tough, you're constantly improving and revamping. And things happen you just can't control. Hang in there! If only he had homestead made stilts! That would do the trick! Lynda, so very true. Even under the best of circumstances animals need time and care. And things still go wrong! I know what you mean about buying dairy products though. Seems to make them more expensive that way. Sista, I appreciate that and am on my way to email you. This is the second goat we've lost due to problems and it's always a disappointment. There's no way we could have prevented Jasmine's broken leg, so that's something. No kids though! That's a disappointment of another kind. Jaclyn, thank you. Interesting about your animals and your husband. Our dogs always prefer Dan's company (unless I'm heading their direction with the food bowl) and so does our Pygmy buck. Your prayers are greatly appreciated! Badgerpendous, very true. We try to hold all things loosely because there's no guarantee for anything. It is a great opportunity to learn though. Cloud, LOL. We did try a "Pygmy buck assist," aka platform. He didn't like it though; seemed to feel very insecure at an elevated height to do his stuff. Sometimes it seems that it's all bad news. I am sorry to hear about Jasmine's end. But a broken leg is tricky. Maybe it's good to take a time-out before deciding to move forward again. Whatever you and Dan decide, I am sure it will be a well-researched, well thought-out option. Leigh, I'm so sorry it wasn't in the cards for Jasmine's leg to heal, what a bummer for you and Dan. I know that must have been hard on you emotionally. I don't think I know why you chose to mate her with a pygmy . . . I just googled Kinder goats and now realize they are bred for duo-purposes, both dairy and meat . . . is this the whole idea for you and Dan? But mostly I'm sorry you have no source to make your yogurts and cheeses. I hope by this time next year you'll have replaced Jasmine and have some way of making her a happy mama once again. I can totally understand you both feeling the lose of Jasmine. Animals, especially the ones we nuture can get under your skin and before you know it, you have formed a bond. On the upside, the weather is cooling and my girls (toggies) have started cycling. Lucy lets us know by bellowing non stop for the duration of her heat (earplugs can be handy). So all things considered your buck should get a work out yet! So sorry that things didn't work out for Jasmine. The life of a farmer isn't an easy one. Are boar goats more readily available in your area? You would get faster growing kids than you will with a pygmy cross. I know several folks with dairy/boar cross goats, and they milk great and grow fast too for the freezer. Just a thought. if this were easy...everyone would do it. I hope things will turn around soon for you both. Nancy, that's a good question. I looked into artificial insemination about 2 years ago, but didn't come up with an answer that made me want to pursue it. For one thing, it's expensive, partly because so few people do it. For another, I read it only takes about 50% of the time. Susan, since it was in the shoulder area, there was a slim chance of healing. Yes, we're taking our time on deciding the next step. The hardest part is companions for Surprise and Gruffy. Goats are herd animals but these two do not get along, plus I question the wisdom of keeping a doe full time with a buck! Bec, that's so true. We invest a lot of ourselves in the things we care for. Funny about Lucy. Keeps things interesting I'm sure! Sue, so true. Actually we have Boars aplenty. The first goat I bought for this place was mostly Boar. She had 4 teats though, and a small udder, so I never considered milking her (not to mention she'd rarely been handled). Dan likes the Boars (Kikos too), and I have priced them. More expensive around here than Nubians! Still, it's a thought. Kyle, thanks. If we weren't doing this, we'd be struggling with the hectic modern lifestyle and what's easy about that! ;) We know things happen like this, so we let ourselves experience the emotions of it and then press on. It's about all we can do. Leigh, you are strong (based on what I "know" about you thru your blog) and able. Your animals are blessed to have you both. Remember there is a big difference between giving up and giving in. In time you'll make the best decison...or you won't. 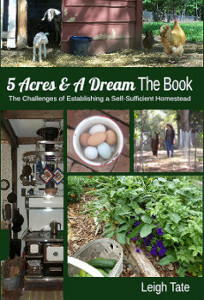 Homesteading is never easy but is always good. Leigh I am very sorry to hear about Jasmine. I always enjoy checking in here and seeing all that you have going on. You and Dan are knowledgeable homesteaders. Unfortunately bad things happen sometimes not to mention if this life was easy peasy everyone would do it. Donna, very good point. A lot of it is experience, or perhaps inexperience. The other thing was that while we always intended to raise at least some goats for meat, we never expected it to be one of the nubians. Still, as Dan recently concluded, all things die anyway. At least Jasmine contributed to the homestead through to the end. Jen, thank you. Your well wishes are very welcome. Having grown up without any sense of responsibility for our food (except paying for it at the grocery store), there are many new things to experience and learn. Oh man, that stinks!! It's not for nothing, though, and I bet there's a reason things turned out this way. 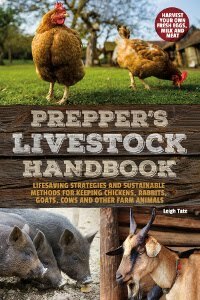 Hope Dan isn't too hard on himself - these things happen, even to the most experienced homesteaders - and the lives (and deaths) of any of your animals is certainly not without purpose. Leigh, my thoughts and prayers are with you and Dan, often and always. I wish we were neighbors - I'd like to have come and sat beside you on the porch in silence awhile in support. The right combination of goats is out there somewhere, waiting for you - I can feel it. Dont ever give up hope! Keep trying. Maybe a new male? Jaime, it does stink! Even though we know the truth of what you say intellectually, emotions still take control. Dan especially and he knows he needs to think of it differently from the beginning. We didn't think we'd have to do that with a dairy doe though. Debbie, thanks! It's not that bad really, in some ways a relief, because I was going out to bring her basketfuls of weeds and things, every couple of hours. It was a lot of work but I wanted to give her the best chance to heal. Plus the continual health problems she'd had in the past. Like I say, it's a relief to be free from all that. Lynn, we're goat people! We're just going to have to consider all the options and then move forward. One male and one female isn't the ideal "herd" by any means. It can be rough... one year I had a buck who didn't breed any does... this year I had bottle jaw and a rough kidding - sometimes it's hard. You are right you do need to be dedicated and make changes if you feel you need to... How old is your buck? I cannot remember if you've said. Maybe you could buy a doe in milk just to get you through, even if she won't be joining your herd and you could sell her later? I know they can be hard to find though. What is the name of the daylily in the background? Thank you. Donna, there are so many things that seem to go wrong, even when we try to do our best. Our buck is now 5 years old. We're considering what you said. The road to breeding Kinders is expensive, and with the problems we've had, even more expensive in terms of replacing our starter stock. The primary objective is the milk! As much as I love Kinders, I need to keep that in mind. Steve, the daylilies were here before we got here, so about all I can tell you is that they look like the common, naturalized Hemerocallis fulva that grow abundantly by the roadside. Sorry I can't be more helpful.